Our Science Market Update is your one-stop information resource for science news on funding, new buildings, and growth at major research universities nationwide. It's updated daily, and is completely free! To see current science events, a great resource is our Spotlight on Science Seminars and Events. It's updated daily with science meetings, conferences, and symposia worldwide. The best part is, you can find not one but five such events posted every day! For trade shows, select Biotechnology Calendar, Inc.'s homepage. We specialize in trade shows with a research and laboratory supply focus. With our nationwide selection, you're sure to find a Biotechnology Calendar show near home. You can also post your science events to our website, free of charge. This is useful if you'd like to get more visibility and attendance for your event. You can enter your event information here. Science reseachers can network and find these resources at our Science Researchers LinkedIn group. Are you looking for science and research related jobs? Here are some LinkedIn groups that will help you find employment opportunities, sorted by area of expertise. We also recommend joining our sector specific groups in order to help you refine your search. 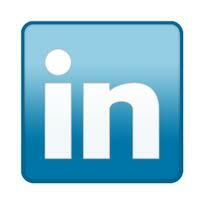 Happy networking, and we hope to see you on LinkedIn in the near future!